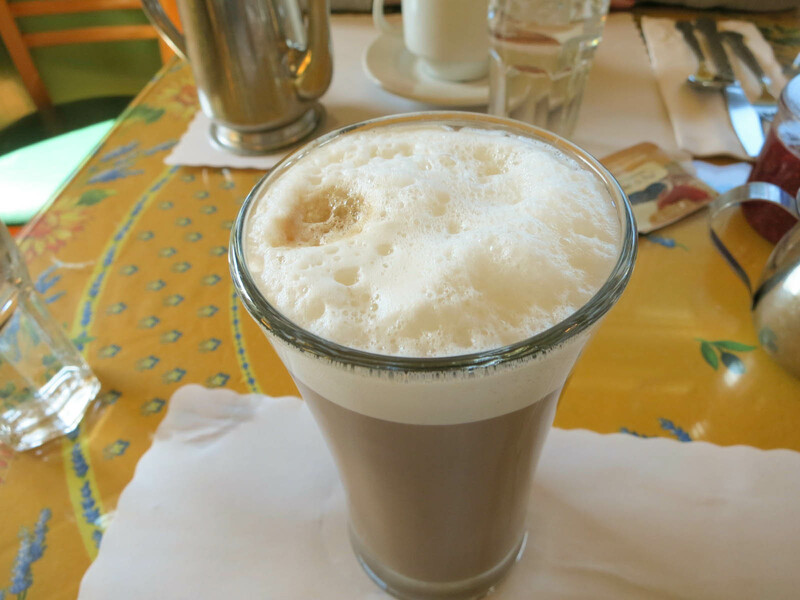 Mama’s on Washington Square is the most popular spot in San Francisco for brunch. They serve all of your typical American style brunch items. The line up here is a bit ridiculous. My Mom and I arrived a half an hour before they opened and there were already about 30 people in line and we ended up waiting an hour before we got in the door. I hadn’t had a coffee yet, and waiting so long for breakfast made me grumpy. When I finally got in the doors I needed a coffee ASAP. I was happy to see they had a soy latte. The mug it comes in is quite large and I couldn’t actually finish it all. The coffee tasted a bit watered down and it didn’t have a very strong espresso flavour, but it fulfilled my caffeine needs. 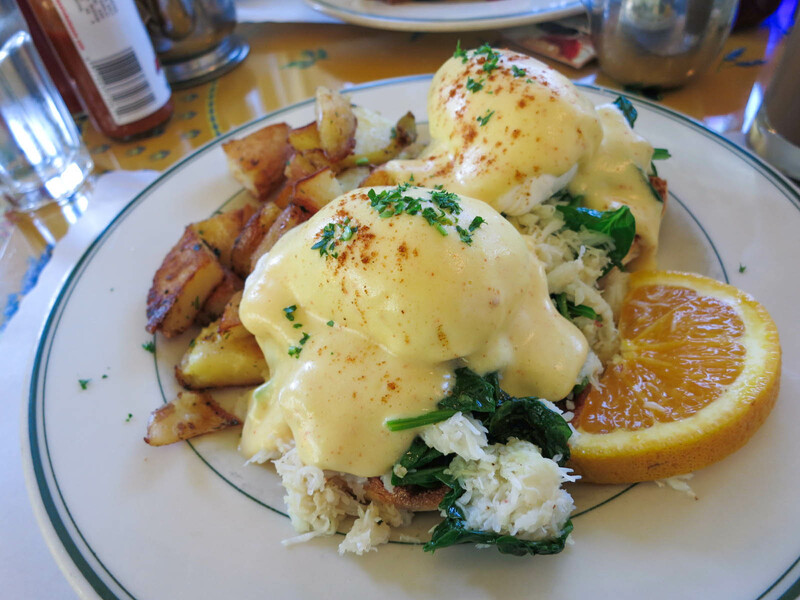 I had the crab benedict that was topped with fresh baby spinach and hollandaise. They were very generous with the crab meat. The English muffins were overflowing with it. It tasted fresh and delicious. The eggs were poached a bit too hard so the yolk wasn’t a runny as I would have liked. If you don’t have egg yolk oozing everywhere, you are doing eggs benny wrong. The potatoes that came with the benedict were great. They were crispy on the outside and nice and soft inside. They were some of the best breakfast potatoes I have had. 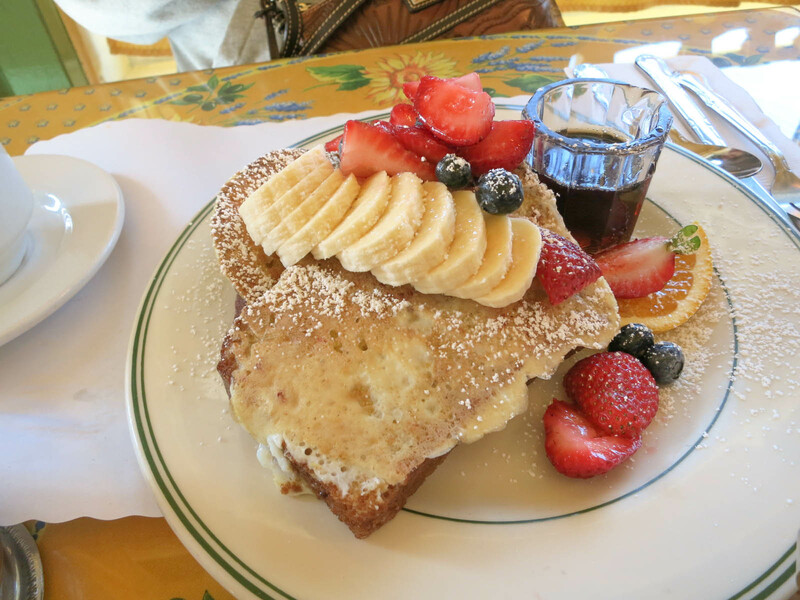 My Mom had the french toast sampler, which came with three different slices of their breads. The breads were banana nut, cinnamon brioche, and cranberry orange walnut. I just had a bite of the cranberry orange walnut bread and it was excellent. I’m not even a big french toast person and I loved the sweet and tangy flavour with the bit of crunch that the bread had. I’m a bit torn about my experience at Mama’s. The food was high quality and everything tasted delicious, but waiting over an hour just to be able to get into the restaurant for brunch seems ridiculous to me. The whole experience took close to 2.5 hours. If there were no lines I would have loved it. Yes, for a great brunch, but I’m not sure if it is worth the wait. ← Rocky Mountain Flatbread Co.
Oh man I’ve always <3ed Moma's!